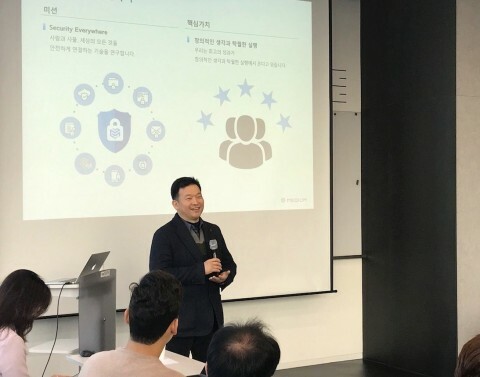 SEOUL, South Korea--(BUSINESS WIRE)--MEDIUM, a software company specialized in developing blockchain and security solutions, will hold an international conference at Grand Walkerhill Seoul on December 14th, 2018. The first research result of the ‘ASIC (Application-specific Integrated Circuit)-based high performance blockchain project’ and technology demonstrating will be presented on the conference. Targeting major academics, public-government officials and investors in this conference, MEDIUM will introduce the MEDIUM mainnet project. Compared with other projects those who have tried to make higher speed in blockchain by software development, a whole new solution based on hardware started from a totally different approach. H/W accelerated high speed blockchain backbone, MEDIUM focuses on key technologies – ASIC, U.2 storage and network chip integration. These technologies will solve the problems of current blockchain by providing much higher speed. MEDIUM is planning to present its business model along with hardware-based high -performance blockchain mainnet features at the event. "We are certainly sure that blockchain technology will be applied for security and stability in financial and governmental public systems including accounting and payment in the future. It is obvious that we need a new approach to accommodate the existing system," Youngkwon Hyun, CEO of MEDIUM said. "We supply the world's fastest and most powerful blockchain platform and appliances, which will be widely used in financial and security solutions. It is the goal of the MEDIUM. " For more information on MEDIUM, please visit https://themedium.io/#/ . MEDIUM holds the 1st international conference in Seoul. It will present the research result of the ASIC-based high performance blockchain project.